Running is an activity present in most of the sports we know (Tongen & Wunderlich, 1994). Every healthy person experienced running in life (Dugan & Bhat, 2005), even the most sedentary, meaning that people are extremely familiar with that activity – under the scope of the user – which leads to certain assumptions about it. Although complex, people tend to attain a feeling of understanding about its indications, contra-indications, as well, as benefits. This phenomenon is well present in nutrition as well – every person eats, so everybody has a feeling of understanding about nutrition – ultimately leading to dogmas. Running foundations underpin several sports skills as acceleration or sprinting mechanics that highly impact performance, being also an activity that has evidence to be beneficial to weight management or cardiovascular and fitness improvements (Barnes & Kilding, 2014). Therefore, considering the injured player under rehabilitation, the start of running activities seems to be a psychological barrier, after which the return-to-training seems closer. Considering the mentioned benefits, often people involved in sports assume the start of running as a way to improve athletes’ fitness levels and even to help achieving rehabilitation outcomes in a fastest way, which take us to a relevant question when considering the athlete in rehabilitation process: Should we use running to physically prepare the athlete or should we be more concerned in physically preparing the athlete to run? Anterior cruciate ligament (ACL) injuries are one of the most common severe knee injuries in football (Ekstrand, 2016), being responsible for 5791 days absent in European leagues between 2001-2009 (Waldén, Hägglund, Magnusson, & Ekstrand, 2011). Normally, an ACL reconstruction rehabilitation takes an average of 6-8 months to return-to-competition, which represents a considerable part of the football season duration (Waldén, Hägglund, Magnusson, & Ekstrand, 2011). This fact might explain the anxiety experienced by players, technical and managing staff regarding players’ return to training timings (Rambaud, Ardern, Thoreux, Regnaux, & Edouard, 2018). Traditionally, long-term knee injuries were managed in a conservative way, being the rehabilitation process predominantly passive until symptoms and mobility limitations were overcome, what could take several months (Rambaud, Ardern, Thoreux, Regnaux, & Edouard, 2018). Muscle trophism was considered in a way, however without many precisions regarding the development of the different strength qualities. As soon as knee symptoms and signs allowed, “functional rehabilitation” was taking place until the athlete had clearance from the orthopedic surgeon to start training/competing, usually extremely dependent on time (Rambaud, Ardern, Thoreux, Regnaux, & Edouard, 2018). Nowadays, with the improved knowledge surrounding sports medicine and sports science, this passive and conservative rehabilitation scenario gave a way to a more active and aggressive treatment approach that resulted in the development of several accelerated rehabilitation protocols, leading to an early start of functional activities compared with the previous ones (Rambaud, Ardern, Thoreux, Regnaux, & Edouard, 2018). This accelerated approach is based on progression criteria markers that are more or less established for each rehabilitation stage, as opposed to the time-based approach used in previous years (Rambaud, Ardern, Thoreux, Regnaux, & Edouard, 2018). Despite those improvements in rehabilitation management, some functional activities still seem to lack some well-grounded criteria to be initiated, considering the current state of the knowledge on physiology, biomechanics and pathology. Running can be pointed as one of those activities. Running is a complex activity, involving considerable amounts of ground reaction forces (GRF) – up to around 3-4 times bodyweight (BW)–, thus, leading to a significant loading of the musculoskeletal system (Donoghue, Shimojo, & Takagi, 2011; Dugan & Bhat, 2005; Grabowski & Kram, 2008; Johnson, Golden, Mercer, Mangus, & Hoffman, 2005; Nagahara, Mizutani, Matsuo, Kanehisa, & Fukunaga, 2017; Skals, 2005; Yamin, Amran, Basaruddin, Salleh, & Rusli, 2017). Considering that, this article will focus on running biomechanics, capacities and skills required to perform it, hoping to make the bridge to some basic and foundational criteria that should be met before starting this activity during an ACL reconstruction rehabilitation. Ultimately, this could help for a better judgement if running is being initiated too soon or not during the rehabilitation. Considering the detail and extent of this article, we show you below the key-points/take home messages that should be present whenever a medical team is preparing an athlete with an ACL reconstruction surgery for running. For more detailed information and reasoning regarding Football Medicine® Criteria to initiate running after an ACL reconstruction surgery (Table 5), please have a look to the different article sections below. According to Tongen (1994), running can be defined as a “gait in which there is an aerial phase – no limbs are touching the ground – as opposed to walking” (Tongen & Wunderlich, 1994). 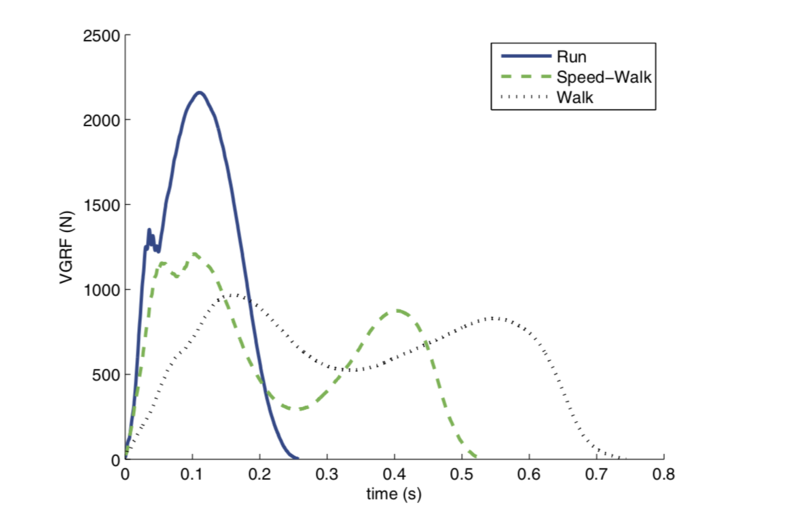 Considering Figure 1, and besides the obvious kinematic differences between walking and running, significant kinetic differences in respect to vertical GRF in between them are shown, with the magnitude of peak force being the double from walking to running (Tongen & Wunderlich, 1994). 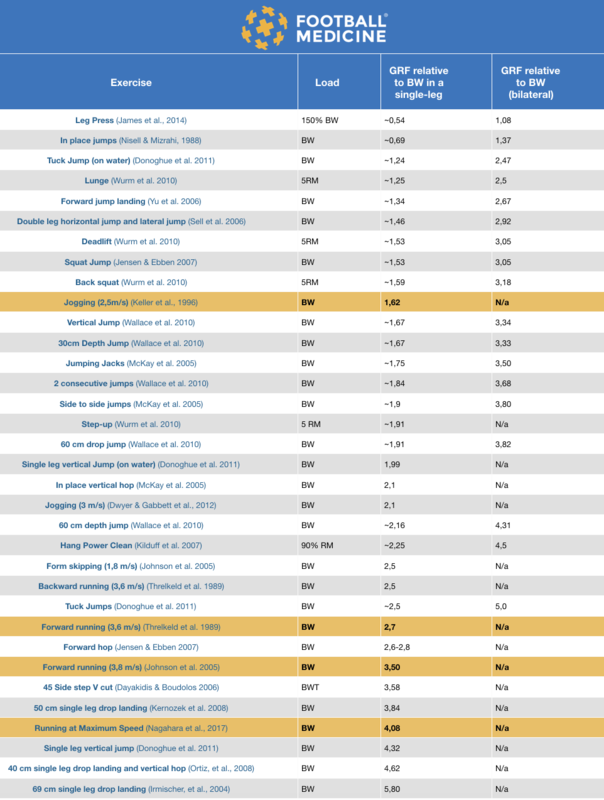 Table 1 shows some of the biomechanical characteristics of running that should be taken in consideration and put in context whenever someone wishes to start with running activities. Therefore, and considering the role of active elements such as the muscle-tendon complex in load absorption during running, the existence of adequate muscular strength, leg stiffness and range of motion may be crucial before the start of running –related activities during rehabilitation. Appropriate levels of strength will tend to (e.g.) prevent or minimize exaggerated articular cartilage compressionthat might lead to knee joint overloading and consequent development of degenerative injuries (Lin, Lin, Lin, & Jan, 2009; McGinty, Irrgang, & Pezzullo, 2000; Salzmann, et al., 2016). As highlighted above, there are some fundamental capacities and skills that underpin a proper running performance, as it might be the mobility, strength and/or motor control (Barnes & Kilding, 2014; Dugan & Bhat, 2005). Those are important qualities to take in consideration before starting to run once, besides increasing running economy and efficiency, might also lead to a decreased risk of injury (Lin, Lin, Lin, & Jan, 2009; McGinty, Irrgang, & Pezzullo, 2000; Nagahara, Mizutani, Matsuo, Kanehisa, & Fukunaga, 2017; Salzmann, et al., 2016; Storen, Helgerud, Stoa, & Hoff, 2008; Turner, Owings, & Schwane, 2003). Although it might be relevant for the athlete to have unrestricted mobility to be able to run properly, those levels of mobility are not that demanding to achieve as shown in Figure 3. When considering an athlete that performed an ACL reconstruction surgery, it is easily perceived, according to Table 2, that he/she will be able to access those amounts of mobility soon in the rehabilitation process without requiring additional copying strategies that may compromise the musculoskeletal system with compensations, associated with secondary injuries or complaints rather than the injured knee. However, if other capacities such as strength are taken into account, the same rationale might not be applicable. As stated before in this article, proper running implies the production and carry over of significant amounts of forces to the musculoskeletal system (Donoghue, Shimojo, & Takagi, 2011; Dugan & Bhat, 2005; Grabowski & Kram, 2008; Johnson, Golden, Mercer, Mangus, & Hoffman, 2005; Skals, 2005; Yamin, Amran, Basaruddin, Salleh, & Rusli, 2017). Those forces are certainly higher during the acceleration phases and also during top speed phases of running, however, even when jogging, the GRF produced are not negligible, as shown in Table 3. Considering Table 3, while jogging, an athlete might have to handle and produce a force equivalent to 1,4-2,4 times his BW (Grabowski & Kram, 2008; Keller, et al., 1996), however, those forces can increase up to around 3 times his BW if we consider the acceleration phase of a sprint or running at maximum speed (Bezodis, Kerwin, & Salo, 2008; Hunter, Marshall, & McNair, 2005; Mero, Komi, & Gregor, 1992; Nagahara, Mizutani, Matsuo, Kanehisa, & Fukunaga, 2017; Nummela, Rusko, & Mero, 1994). Only these values must already make us think how fit an athlete should be before he can handle those forces without increasing the risk of injury. Even so, you might still be thinking – “Ok, in practical terms, how much do those bodyweight equivalents represent in terms of effort?” – later on this article we will show you how massive can be those forces in comparison to frequently used gym-based exercises. As shown in Figure 4, as soon as the foot contacts with the ground, force must be produced to, first, absorb the force from the landing/body in movement; for then produce enough force to overcome his weight (vertical force) and still be able to jump off the ground (vertical and horizontal forces) to the next flight phase (Moir, 2015). As it is widely known, contact times during running are significantly short, ranging from 99-172 ms, meaning that the athlete not only needs to produce a significant amount of force during ground contact, but must also be able to access those levels of force quickly (Kugler & Janshen, 2010; Moir, 2015; Morin, et al., 2015; Slawinski, et al., 2010). This lead us to understand the importance of the rate of force developmentwhen considering an efficient and proper running mechanics. Just as a curiosity, according to the literature, when running at top speed, athletes might have to produce force at a rate of 12172 N/s, which is the equivalent to 1242 kg/s (Slawinski, et al., 2010). 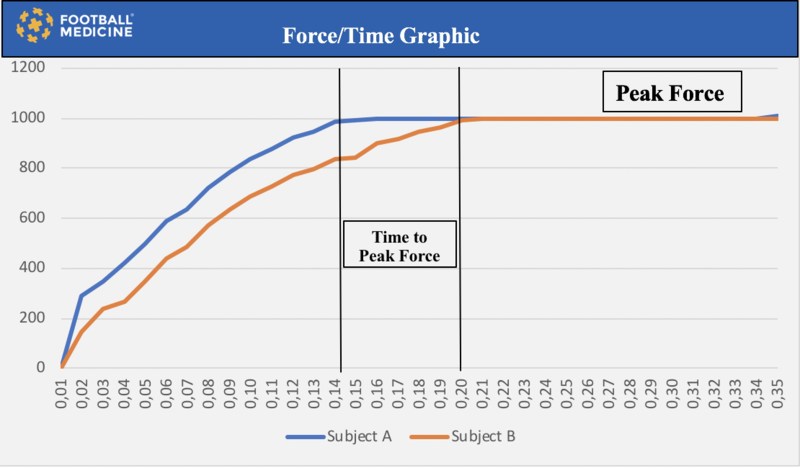 Figure 5 – Force/time graphics of two athletes (A and B) reaching the same level of peak force but with different rates of force development. Athlete A is able to access high levels of force quicker than athlete B, thus having a higher rate of force development. In practical terms, and for the reader to have an idea of the huge forces involved during running, those might be as high as the forces produced by athletes when performing a hang power clean with 90% RM(see Video 1) – around 2512-3544 N– with the remarkable particularity that, while running, those amounts are produced in a single leg (Donoghue, Shimojo, & Takagi, 2011; Dugan & Bhat, 2005; Grabowski & Kram, 2008; Johnson, Golden, Mercer, Mangus, & Hoffman, 2005; Hori, et al., 2007; Kilduff, et al., 2007;Skals, 2005; Suchomel, Wright, Kernozek, & Kline, 2014; Yamin, Amran, Basaruddin, Salleh, & Rusli, 2017). Considering the examples above – hang power clean vs running – the type of muscle work between both is fundamentally different. While during the weightlifting derivative exercise force is produced through the concentric contraction of the recruited muscles during the leg extension mechanism, when running, most of the force is produced through a stretch shortening cycle (SSC) mechanism in the musculotendinous unit (Garhammer, 1984; Haug, Drinkwater, & Chapman, 2015; Hennessy & Kilty, 2001; Moir, 2015). This particularity turns running a much more economic activity than the hang power clean, once, instead of using a concentric muscle action (high metabolic demand), during the stance phase of running leg extension muscles are virtually, exclusively, contracting isometrically (less metabolic demand) being the joint range of motion given by the stretching that happens on the connective tissue, when absorbing the energy during the braking phase and reutilizing it during the propulsive phase (Barnes & Kilding, 2014; Hennessy & Kilty, 2001). This might be one explanation for the difference in the perceived effort between both activities. Based on the above argument, it should be clear that previously to start running, athletes’ SSC mechanisms should be optimized, in order to achieve a proper economy during running and decrease the risk of overuse injuries during the rehabilitation process (Barnes & Kilding, 2014; Donoghue, Shimojo, & Takagi, 2011; Dugan & Bhat, 2005; Grabowski & Kram, 2008; Hennessy & Kilty, 2001; Turner, Owings, & Schwane, 2003). For that to be possible, athletes not only must possess adequate levels of strength, as they must also have adequate rate of force development (RFD) associated with adequate leg extension stiffness (Horita, Komi, Nicol, & Kyrolainen, 2002; Folland, Allen, Black, Handsaker, & Forrester, 2017; Storen, Helgerud, Stoa, & Hoff, 2008; Turner, Owings, & Schwane, 2003). Considering the above criteria, to be able to adequately perform fast SSC activities (as it is running), athletes should first be exposed to maximum strength and power programs to improve the qualities above, being after exposed to plyometric training programs to improve SSC mechanisms (Boyle, 2016). When considering an athlete that undergone ACL reconstruction, and considering all the muscle atrophy and strength decrease due to the surgical intervention, together with the inflammatory process that lasts several weeks, it can be challenging to fulfill those strength qualities criteria before three months after surgery. Therefore, if there are concerns (as we would recommend) to achieve balanced strength between lower limb muscles as other criteria to start with running, this goal will be quite difficult to achieve during at least the first 2,5 months post-surgery, according to our experience. It is not the scope of this article to explain how to develop maximum strength and power, neither how to diagnose potential deficits on those qualities, however, you can review those topics on our previously published articles regarding maximum strength, power and strength diagnosis. Even in the presence of all the capacities needed to perform running with the proper technique, sometimes athletes lack the skillto do it. Meeting the proper technical model while running is relevant, especially when considering an athlete that is coming from an injury that is gradually increasing the loading of his musculoskeletal system, once most of the details will imply more economy during running with less musculoskeletal impact (Barnes & Kilding, 2014; Dugan & Bhat, 2005; Grabowski & Kram, 2008). As an example, proper timing and range during the triple flexion observed on the swing leg might decrease the force and energy expense needed during the propulsion phase on the stance leg (Folland, Allen, Black, Handsaker, & Forrester, 2017). A typical technical mistake that has direct implication on knee joint loading is the overstriding or insufficient leg recovery during the last period of the leg swing, which will lead to an excessive anterior ground contact relative to the center of mass, increasing the braking forces during running. When running at moderate velocities, those technical errors often lead to heel strike, which is proven to have impact on lower limb overuse injuries (Grabowski & Kram, 2008). It is widely known that some movement patterns (e.g. dynamic knee valgus) during close kinetic chain activities might increase the risk of acute and overuse injuries in field sports athletes, which highlight why matching an adequate motor control during running should be tried (Kozinc & Sarabon, 2017). Nevertheless, anatomical, functional and/or past movement history might unable or even turn inadequate for an athlete to run fulfilling all the parts of the “ideal” technical model. Said that, it is important to respect the individuality of the athlete unless he is not able to cope with his own individual variations from the “ideal” technical model. From the considerations above, it is easily perceived that the most demanding capacities needed to achieve before starting to run is the ones related with strength as well as musculoskeletal system tolerance to the significant forces implied in running (load), once those will be the ones that will take longer to acquire. As said before, an athlete with an ACL reconstruction will be subject to significant muscle atrophy, considerably decreasing his strength, besides having to deal with the inflammatory process that, to some extent, will limit load increments, as well as impact activities. As seen before, plyometric training or, at least, adequate plyometric performance underpins proper running performance (Barnes & Kilding, 2014; Turner, Owings, & Schwane, 2003). According to NSCA guidelines, before starting with plyometric activities, athletes should be able to lift 2 times their bodyweight in a back squat (Boyle, 2016). Those recommendations, although with some relevance, are extremely general, especially if we consider that, normalizing to the bodyweight with a ratio model, will always privilege athletes with less bodyweight. Besides, how difficult is it to find a football player that is able to lift that load when he is fit?? So, how hard and time consuming would it be to develop those amounts of strength on a player recovering from an ACL injury? Anyhow, from that, it is already possible to understand that considerable amounts of maximum strengthare needed to be able to adequately perform plyometrics, together with an ability to access those levels of force quickly once, during SSC activities, when time to produce force should not be higher than 250ms, which implies significant levels of rate of force development (Hennessy & Kilty, 2001). Taking the limitations above in consideration, other authors have been suggesting the initiation of plyometric exercises with less demanding criteria – as being able to perform 3×15 repetitions of single-leg squat; adequate balance in a single-leg (Comfort & Abrahamson, 2010). However, in our perspective, plyometric and ballistic training should not be initiated before injured lower limb maximum strength is balancedconsidering the uninjured one (which might take around2-2,5 months to achieve according to our experience), in order to decrease the risk of overloading the knee joint due to that lack of capacity to absorb impacts, thus worsening rehabilitation’s outcome. The capacity of absorbing energy and then applying it quickly into the ground might be assessed through the calculation of the Reactivity Strength Index (RSI), that, for sports requiring fast SSC, it is widely accepted that RSI values should be above 2,0. This can be a good metric to use to understand how well is the injured athlete being able to use his leg extension strength to absorb energy from the landing and then reutilize it during the following jump. By now, it should be clear that in order for an athlete to run properly, he must be able to produce high amounts of force and expressing it in a demanding fashion. It was also already discussed the significant amounts of forces that the body must handle during running, given the GRF produced in each step. With this in mind, physiotherapists and coaches should not only be concerned about preparing the athlete to produce the levels of force needed during running, but also to create adaptations on the musculoskeletal system in order to guarantee that it will handle the forces implicated in running, especially when considering a knee that comes from a surgical procedure and is still gradually adapting to load acceptance again. 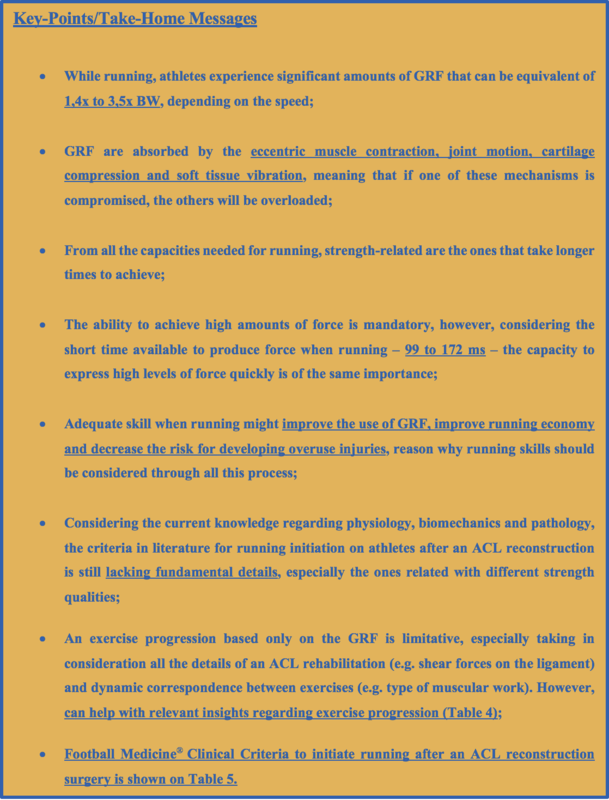 As stated before on this article, while running, GRF might vary between 1,5-3 times bodyweight, which means that athletes musculoskeletal system should be prepared to handle those forces. Through the analysis of Table 3, representing traditional gym exercises and activities with the respective GRF when performing it, it can be noted that, to equal running GRF, after an ACL reconstruction, athletes should undergo serious strengthening programs in order to create musculoskeletal adaptations that allow them to perform running without an increased risk of overuse injuries due to gradual overloading. However, precautions should be taken when analyzing those numbers once, as highlighted before, the type of muscular work, the range of motions may vary between those exercises and running, leading to a more or less dynamic correspondence which might lead to different musculoskeletal repercussions. Table 4 may be useful to realize the adaptations needed in terms of GRF production and handling in order to achieve proper running with decreased risk of injury, highlighting the use of some reasoning in order to progressively increase the demands in GRF for the athlete in rehabilitation through a graded exposure strategy (see Figure 6). Nevertheless, the presented progression is only considering the GRF, which may not be totally adequate taking in consideration all the details and precautions of an ACL reconstruction rehabilitation, as it should be the precautions regarding the shear forces on the tibia and stress on the ACL graft produced with different exercises – you can review this on our previous published article regarding the use of the leg-extension machine. 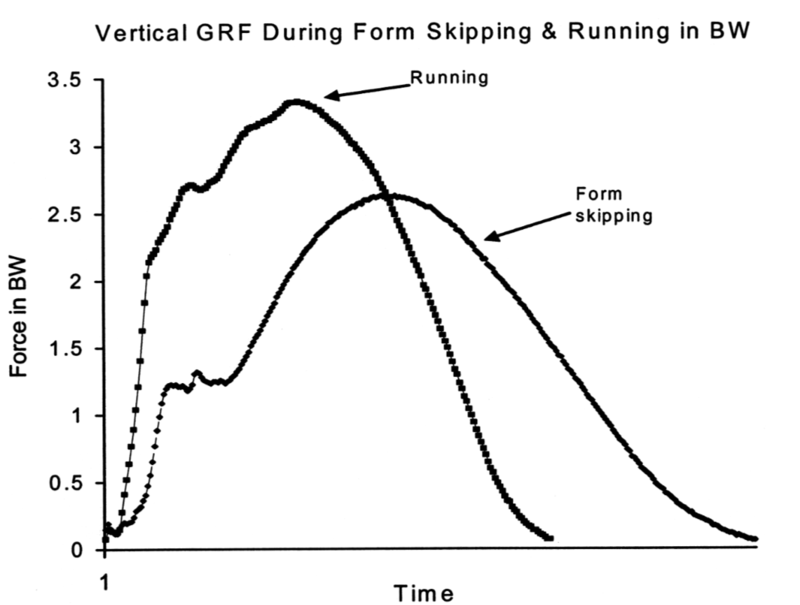 Figure 6 – Vertical GRF during skipping and running; Besides not having a dynamic correspondence in what concerns the RFD and magnitude of force, form skipping might still be useful to use as a graded exposure strategy considering a preparation for the GRF in running; Adapted from Johnson et al., (2005). In our perspective, and considering the knowledge, evidence and clinical experience regarding ACL reconstruction rehabilitations, we consider that, in several situations, athletes are starting to run too early. Proof of that are cases of athletes that initiate the in-field rehabilitation (Return-to-Play – RTP) before 3 months after surgery (Rambaud, Ardern, Thoreux, Regnaux, & Edouard, 2018), once, as showed in this article, the capacities and skills needed to run adequately will be extremely difficult to achieve until the third month. As stated in the literature, early start of impact activities without adequate criteria may increase the risk of the athletes to develop comorbidities during the rehabilitation process, and possibly increasing the risk to attain injuries that can be functionally related with the limitations still present at the time of returning to competition (Rambaud, Ardern, Thoreux, Regnaux, & Edouard, 2018). At Football Medicine® we believe that those cases may be a consequence of inadequate progressions during the rehabilitation stage. With that in mind, we share below on Table 5 our clinical criteria regarding the initiation of running after an ACL reconstruction surgery. Football Medicine®professionals underline that this represents a general approach, that should be taken in consideration with the specificities and needs of each athlete, together with his injury history. However, bear in mind that those are the minimums to achieve before starting to run, taking in count the complications that might come in short- and/or long-term due to a premature initiation of running/impact activities. Barnes, K. R., & Kilding, A. E. (2014). Strategies to Improve Running Economy. Sports Medicine. Bezodis, I. N., Kerwin, D. G., & Salo, A. I. (2008). Lower-Limb Mechanics during the Support Phase of Maximum-Velocity Sprint Running.Medicine & Science in Sports & Exercise, 40(4), pp. 707–715. Boyle, M. (2016). New Functional Training for Sports.Human Kinetics. Comfort, P., & Abrahamson, E. (2010). Sports Rehabilitation and Injury Prevention.John Willey & Sons. Dayakidis, M., & Boudolus, K. (2006). 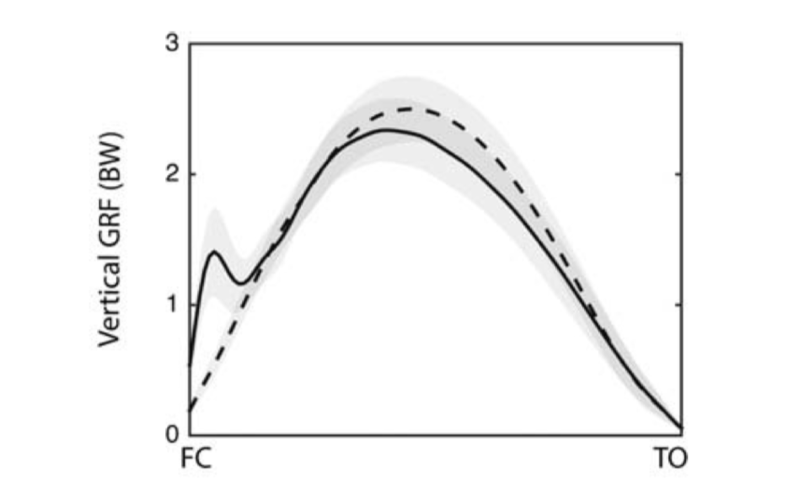 Ground reaction force data in functional ankle instability during two cutting movements. Clinical Biomechanics, 21, pp. 405-411. Donoghue, O. A., Shimojo, H., & Takagi, H. (2011). Impact Forces of Plyometric Exercises Performed on Land and in Water. Sports Physical Therapy, 3, pp. 303-309. Dugan, S. A., & Bhat, K. P. (2005). Biomechanics and Analysis of Running Gait. 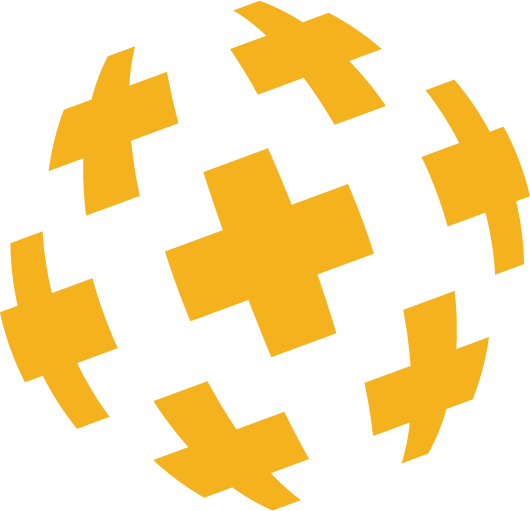 Physical Medicine and Rehabilitation Clinics of North America, 16, pp. 603-621. Ekstrand, J. (2016). UEFA Elite Club Injury Study Report 2015/16. UEFA Elite Club Injury Study Report 2015/16. Folland, J. P., Allen, S. J., Black, M. I., Handsaker, J. C., & Forrester, S. E. (2017). Running Technique is an Important Component of Running Economy and Performance. MEDICINE & SCIENCE IN SPORTS & EXERCISE, pp. 1412-1423. Friesenbichlern, B., Stirling, L. M., Federolf, P., & Nigg, B. M. (2011). Tissue vibration in prolonged running. Journal of Biomechanics, 44, pp. 116-120. Garhammer, J. (1984). Kinesiological evaluation. NCSA Journal, pp. 40-63. Grabowski, A. M., & Kram, R. (2008). Effects of Velocity and Weight Support on Ground Reaction Forces and Metabolic Power During Running. Journal of Applied Biomechanics, 24, pp. 288-297. Haug, W. B., Drinkwater, E. J., & Chapman, D. W. (2015).Learning the Hang Power Clean: Kinetic, Kinematic, and Technical Changes in Four Weightlifting Naïve Athletes. Journal of Strength and Conditioning Research, 0(0), pp. 1-14. Hennessy, L., & Kilty, J. (2001). Relationship of the Stretch-Shortening Cycle to Sprint Performance in Trained Female Athletes. Journal of Strength and Conditioning Research, 15(3), pp. 326–331. Hori, N., Newton, R., Andrews, W., Kawamori, N., McGuigan, M., & Nosaka, K. (2007). Comparison of four different methods to measure power output during the hang power clean and the weighted jump squat. Journal of Strength and Conditioning Research, 21(2), pp. 314-320. Horita, T., Komi, P., Nicol, C., & Kyrolainen, H. (2002). Interaction between pre-landing activities and stiffness regulation of the knee joint musculoskeletal system in the drop jump: implications to performance.European Journal of Applied Physiology, 88, pp. 76–84. Hunter, J. P., Marshall, R. N., & McNair, P. J. (2005). Relationships Between Ground Reaction Force Impulse and Kinematics of Sprint-Running Acceleration. JOURNAL OF APPLIED BIOMECHANICS, 21, pp. 31-43. Irmischer, B., Harris, C., Pfeiffer, R., DeBeliso, M., Adams, K., & Shea, K. (2004). Effects of a knee ligament injury prevention exercise program on impact forces in women. Journal of Strenght and Conditioning Research, 18, pp. 703-707. Jensen, R., & Ebben, W. (2007). Quantifying plyometric intensity via rate of force development knee joint and ground reaction forces. Journal of Strength and Conditioning Research, 21, pp. 763-767. Johnson, S. T., Golden, G. M., Mercer, J. A., Mangus, B. C., & Hoffman, M. A. (2005). Ground-Reaction Forces During Form Skipping and Running. Journal of Sports Rehabilitation, 14, pp. 338-345. Keller, T. S., Weisberger, A. M., Ray, J. L., Hasan, S. S., Shiavi, R. G., & Spengler, D. M. (1996). Relationship between vertical ground reaction force and speed during walking, slow jogging, and running. Clinical Biomechanics, 11(5), pp. 253-259. Kelly, L. A., Farris, D. J., Lichtwark, G. A., & Cresswell, A. G. (2018). The Influence of Foot-Strike Technique on the Neuromechanical Function of the Foot. Medicine and Science in Sports and Exercise, 50(1), pp. 98-108. Kernozek, T., Torry, M., & Iwasaki, M. (2008). Gender differences in lower extremity landing mechanics caused by neuromuscular fatigue. American Journal of Sports Medicine, 36, pp. 554-565. Kilduff, L., Bevan, H., Owen, N., Kingsley, M., Bunce, P., Bennett, M., & Cunningham, D. (2007). Optimal loading for peak power output during the hang power clean in professional rugby players.International Journal of Sports Physiology and Performance, 2(3), pp. 260-269. Kugler, F., & Janshen, L. (2010). Body position determines propulsive forces in accelerated running. Journal of Biomechanics, 43, pp. 343–348. Lin, D., Lin, C., Lin, Y., & Jan, M. (2009). Efficacy of 2 non-weight-bearing interventions, proprioception training versus strength training, for patients with knee osteoarthritis: a randomized clinical trial.Journal of Orthopedic Sports Physical Therapy, 39(6), pp. 450-457. Manzer, S., Mattes, K., & Holländer, K. (2016). Kinematic Analysis of Sprinting Pickup Acceleration versus Maximum Sprinting Speed.Biology of Exercise, 12(2), pp. 55-67. McKay, H., Tsang, G., Heinonen, A., MacKelvie, K., Sanderson, D., & Khan, K. (2005). Ground reaction forces associated with an effective elementary school based jumping intervention. British Journal of Sports Medicine, 39, pp. 10-14. Mero, A., Komi, P., & Gregor, R. (1992). Biomechanics of Sprint Running: A Review. Sports Medicine, 13(6), pp. 376-392. Moir, G. L. (2015). Biomechanics of Fundamental Movements: Sprint Running. Em G. L. Moir, Strength and Conditioning: A Biomechanical Approach(pp. 524-575). Jones & Bartlett Learning. Morin, J.-B., Gimenez, P., Edouard, P., Arnal, P., Jiménez-Reyes, P., Samozino, P., . . . Mendiguchia, J. (2015). Sprint Acceleration Mechanics: The Major Role of Hamstrings in Horizontal Force Production. Frontiers in Physiology, 6(404), pp. 1-14. Nagahara, R., Matsubayashi, T., Matsuo, A., & Zushi, K. (2014). Kinematics of transition during human accelerated sprinting. The Company of Biologists, 3, pp. 689–699. Nagahara, R., Mizutani, M., Matsuo, A., Kanehisa, H., & Fukunaga, T. (2017). Association of Sprint Performance With Ground Reaction Forces During Acceleration and Maximal Speed Phases in a Single Sprint. Journal of Applied Biomechanics. Nisell, R., & Mizrahi, J. (1988). Knee and ankle joint forces during steps and jumps down from two different heights.Clinical Biomechanics, 3, pp. 92-100. Nummela, A., Rusko, H., & Mero, A. (1994). EMG activities and ground reaction forces during fatigued and nonfatigued sprinting. Medicine and Science in Sports and Exercise, pp. 605-609. Ortiz, A., Olson, S., Libby, C., Trudelle-Jackson, E., Kwon, Y., Etnyre, B., & Bartlett, W. (2008). Landing mechanics between noninjured women and women with anterior cruciate ligament reconstruction during 2 jump tasks. American Journal of Sports Medicine, 36, pp. 149-157. Rambaud, A. J., Ardern, C. L., Thoreux, P., Regnaux, J.-P., & Edouard, P. (2018). Criteria for return for running after anterior cruciate ligament reconstruction: a scoping review. British Journal of Sports Medicine, 0, pp. 1-9. Salzmann, G. M., Preiss, S., Zenobi-Wong, M., Harder, L. P., Maier, D., & Dvorák, J. (2016). Osteoarthritis in Football: With a Special Focus on Knee Joint Degeneration. Cartilage, 8(2), pp. 162-172. Sell, T., Ferris, C., Abt, J., Tsai, Y., Myers, J., Fu, F., & Lephart, S. (2006). The effects of direction and reaction on the neuromuscular and biomechanical characteristics of the knee during tasks that simulate the non-contact anterior cruciate ligament injury mechanism. American Journal of Sports Medicine, 34, pp. 43-54. Skals, S. L. (2005). Prediction of ground reaction forces and moments during sports-related movements. Master Thesis – Department of Health Science and Technology Aalborg University . Slawinski, J., Bonnefoy, A., Levêque, J., Ontanon, G., Riquet, A., Dumas, R., & Chèze, L. (2010). Kinematic and kinetic comparisons of elite and well-trained sprinters during sprint start. Journal of Strength and Conditioning Research, 24(4), pp. 896-905. Storen, O., Helgerud, J., Stoa, E. M., & Hoff, J. (2008). Maximal Strength Training Improves Running Economy in Distance Runners. Medicine & Science in Sports & Exercise, pp. 1089-1094. Suchomel, T., Wright, G., Kernozek, T., & Kline, D. (2014). Kinetic comparison of the power development between power clean variations. Journal of Strength and Conditioning Research, 28(2), pp. 350-360. Threlkeld, J., Horn, T., Wojtowicz, G., Rooney, J., & Shapiro, R. (1989). Kinematics, ground reaction force and muscle balance produced by backward running. Journal of Orthopedic and Sports Physical Therapy, 11, pp. 56-63. Tongen, A., & Wunderlich, R. E. (1994). 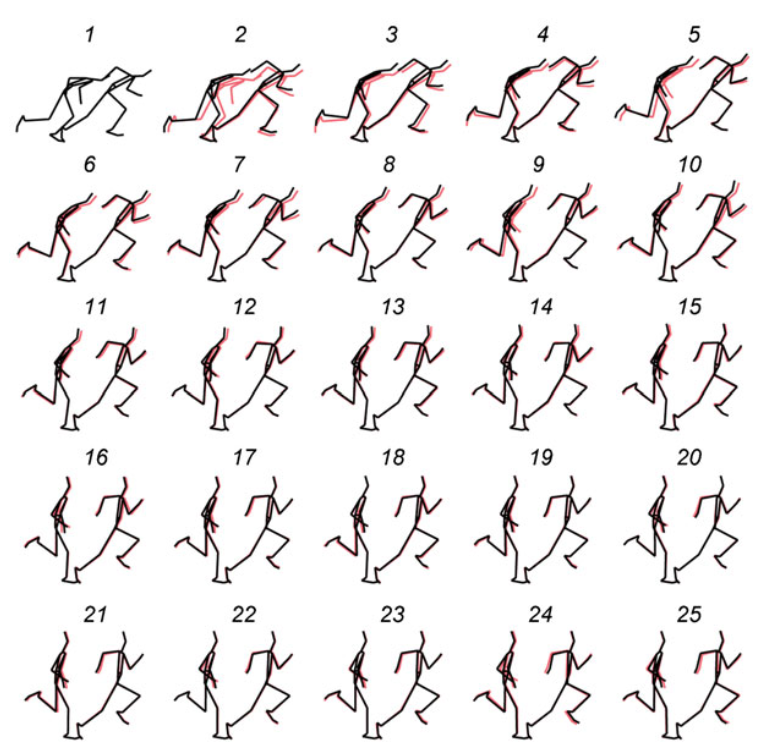 Biomechanics of Running and Walking. Clinics in Sports Medicine, pp. 1-12. Turner, A., Owings, M., & Schwane, J. (2003). Improvement in Running Economy After 6 Weeks of Plyometric Training. Journal of Strength and Conditioning Research, 17(1), pp. 60–67. Waldén, M., Hägglund, M., Magnusson, H., & Ekstrand, J. (2011). Anterior cruciate ligament injury in elite football: A prospective three- cohort study. Knee Surgery Sports Traumatology Arthroscopy, 19, pp. 11-19. Wallace, B., Kernozek, T., White, J., Kline, D., Wright, G., Pang, H., & Huang, C. (2010). Quantification of vertical ground reaction forces of popular bilateral plyometric exercises. Journal of Strength and Conditioning Research, 24, pp. 207-212. Wannop, J. W., Worobets, J. T., & Stefanyshyn, D. J. (2012). Normalization of Ground Reaction Forces, Joint Moments, and Free Moments in Human Locomotion.Journal of Applied Biomechanics, 28, pp. 665-676. Wurm, B., Garceau, L., Vander Zanden, T., Fauth, M., & Ebben, W. (2010). Ground reaction force and rate of force development during lower body resistance training exercises. 28 International Conference on Biomechanics in Sports. Yamin, N. A., Amran, M. N., Basaruddin, K. S., Salleh, A. F., & Rusli, W. M. (2017). GROUND REACTION FORCE RESPONSE DURING RUNNING ON DIFFERENT SURFACE HARDNESS.Journal of Engineering and Applied Sciences, 12, pp. 2313-2318. Yu, B., Lin, C., & Garrett, W. (2006). Lower extremity biomechanics during the landing of a stop-jump task. Clinical Biomechanics, 21, pp. 297-305. Hi. Thank you for a very informative article. Can you help with your opinion about running before jumping exercise or vice versa. Another thing I was wondering was your H/Q ratio. Do you get any reference for this because we use it as discharge criteria, but not as a criteria for return to running? Can the quad be to strong in comparison to hamstring, if it less than 10% quad to quads difference? First, thank you very much for commenting. We use it as a criteria for running once the conventional ratios might have implications on knee ago/ant provided stability, on the other hand, if higher speed are requested. to the athlete, the functional ratio can play a role on the hamstring muscle injuries risk, and so, to avoid concomitant injuries (in this case a hamstring injury due to sprinting) during the rehab, before starting to run at speeds higher than 5,5m/s we advise you have already the functional ratios corrected. In what concerns quadriceps and hamstrings strength, it is normal and advisable that quads are stronger than hamstrings in a concentric fashion, however, hamstring concentric strength shouldn’t be less than 60% of quads strength because as you know, hamstrings play a role on knee stability and anterior drawer prevention, if its strength is decreased and with massive quads, you might be having a knee stability issue. I hope we matched your doubts and questions, let us know if we were not clear!